If you want to get a last-minute tax deduction in for 2009, or just want to get a jump on your 2010 return, please consider making a tax-deductible donation to the Bronx News Network by clicking here. After the jump is a letter we just mailed out to some of our friends and supporters. It lays out our accomplishments in 2009 and our plans for 2010 (including making this blog bigger and better!). An off-duty NYPD sergeant says he was racially profiled and roughed up by two police officers from the 52nd Precinct, while visiting his girlfriend. A Bronx man has been arrested in connection with the murder of a woman in Connecticut in 1986. The city is to relax alternate side parking laws in parts of the north west Bronx. A Bronx cyclist is suing the NYPD after he was knocked down by a police car near the Macombs Dam Bridge. Mount St. Michael Academy, a high school for boys in Wakefield, recently won a basketball tournament in upstate New York. According to State Sen. Ruben Diaz, Sr., the politicians charged with determining Hiram Monserrate's fate are a "big bunch of racists." A 770-unit affordable housing complex is to be built in Melrose. A stretch of marshland in Mott Haven - one the city claimed to have cleaned up and dried out - isn't so clean or dry after all. Labels: 52nd Precinct, alternate side parking, Melrose, Mount St. Michael Academy, ruben diaz sr.
Dr. Pierre Renelique used to practice obstetrics and gynecology in Florida. That was until the Florida Board of Medicine revoked his license early this year following a botched abortion. Now he’s working at Clinton Place Medical Center in University Heights, to the horror of the local pro-life movement. Two Saturdays ago, about 80 people, including State Sen. Ruben Diaz, Sr. and his wife, Leslie, held a prayer vigil near the center, to bring attention to Renelique’s past, and to demand action from the New York State Medical Board. “We want to expose this clinic across the street and we want to expose the doctor,” Leslie Diaz told the crowd. On Dec. 14 the Ghost of Christmas Future visited City Hall. Playing the parts of characters from “A Christmas Carol,” 50 children from the Mary Mitchell Family and Youth Center’s after school program climbed the institution’s steps to let Mayor “Scrooge” know that if things don’t change, they too risk becoming victims of violence in the Bronx. In the fall, the 48th Precinct in the central Bronx had been heralding the passing of two months without one reported shooting. But two shootings in early November were followed by another incident on Nov. 16, when gunfire erupted right outside the Mary Mitchell Family and Youth Center’s playground, at 2007 Mapes Ave., where dozens of children were playing. Later that day, 19-year-old Felix DelValle was shot dead and two others were injured in the courtyard of nearby 2000 Prospect Ave. The Mary Mitchell Center’s Executive Director Heidi Hynes wanted answers. On Nov. 24 she organized an emergency meeting of local politicians, police and community organizations, to discuss measures to prevent gun violence. And in a letter to Mayor Michael Bloomberg, she requested he come live at 2000 Prospect Ave. for the month of February to familiarize himself with the community’s mounting concerns. With no reply from the mayor, the center’s staff decided to bring the children to City Hall to put on a play in protest of the violence. Reporting and writing by Ashley Villarreal. Yesterday, the Bronx Zoo hosted an ice carving contest. A Bronx dog who disappeared two years ago has been reunited with his owners. "Rusty," a terrier, somehow made his way to Georgia where a vet found an identification chip under his skin. Police and prosecutors have closed a loophole which allowed drunk drivers to refuse a breath test in the hopes to sobering up before a blood test could be taken. The change in procedure comes after a drunken cop knocked down and killed an elderly women in Kingsbridge in October. Det. Kevin Spellman declined a breath test, and it took more than five hours to obtain a court order to draw his blood. More than 500 shopping carts have been stolen from Toys 'R' Us in the new Gateway Center Mall. Crime is down again this year, in the Bronx and across the city. But some incidents (how many we wonder?) never become a statistic. Century-old "beer caves" have been found in Melrose. More here. The "Four Amigos" - State Senators Diaz, Monserrate, Espada, and Kruger - are meeting today to discuss their agenda for 2010. For now, the focus seems to be less on creating jobs, combating poverty, etc., than on saving one of their own. Councilman-elect Fernando Cabrera (14th District) has signed a lease for a district office at 107 E. Burnside Avenue, his incoming chief of staff Greg Faulkner just called to tell us. The office is open effective immediately, though try not to expect a lot, since a) Cabrera isn't actually the Council member for the district until Jan. 1, and, well, the desks haven't even arrived yet. The office is a walk-up but there will be elevator access at the rear entrance of the building on Morris Avenue. Faulkner hopes to be able to use outgoing Council Member Maria Baez's office phone number so that constituents will not have to track down a new number. The living wage issue "was a stumbling block," Faulkner said. Once a law is passed requiring retailers to pay a living wage at projects receiving public subsidies, "then we can look at a full range of options." Cabrera will have a swearing-in ceremony on Jan. 6 at 7 p.m. in Gould Auditorium at Bronx Community College. The public is invited. On Tuesday, a fire destroyed Morris Park Boxing Club. Two days later, one of the men who ran it (a one-time W.B.A welterweight title holder) and his stable of young fighters, found a temporary place to train. In an editorial, the Daily News ridicules Ruben Diaz Jr. and the City Council for nixing Related Companies' Kingsbridge Armory redevelopment proposal. The pols "stupidly killed employment for thousands" and "don't have a clue" what to do next, the News argues. The Village Voice's Tom Robbins has mixed feelings about the Council's no vote. He writes: "It's just our luck that the first time the City Council actually musters the courage to face down Mike Bloomberg, it's to kill a plan that—whatever its flaws—would have put hard-pressed New Yorkers back to work." Five stations on the Pelham 6 Line now have countdown clocks, informing straphangers of when the next train will arrive. A Bronx priest has been making waves as a fashion designer. NY Post columnist John Crudele's "Man of the Year" is a 28-year-old veteran from the Bronx who overcame a tough childhood and homelessness - not to mention stints in Iraq and Afghanistan - to land a job as a nursing assistant at James J. Peters VA Hospital on Kingsbridge Road. Another veteran, homeless since January, has found an apartment in University Heights for him and his family, thanks for the Jericho Project. An arsonist has been terrorizing an apartment complex in Marble Hill. Police are looking for two men who robbed a jewelry store in Morris Park on Tuesday afternoon. The Daily News reported yesterday that among the businesses "destroyed" in Monday's fire on East 204th Street in Norwood, was McKeon Funeral Home. That is totally incorrect as we reported here on Monday. In fact, owner Bill Curran just told us that he has a funeral scheduled today. McKeon suffered a little bit of water and smoke damage, but the newly renovated funeral home survived largely intact. McKeon Funeral Home is located at 3129 Perry Ave. and the phone number is 718-655-6464. We're a little short-staffed on this almost-holiday work day. Can anyone tell us whether Bank of American on the corner of East 204th Street and Bainbridge Avenue is open for business? The Daily News said that business was destroyed as well, and while we don't think that's the case -- the building appeared completely intact the day of the fire -- we wanted to make sure of the bank's current status before we posted anything about it. Also, we wanted to provide a better phone number for residents wanting to order groceries by telephone from Foodtown --718-293-3032. The other 718 number in our previous report is for Pricebusters, which will, in the next few weeks, provide some groceries. 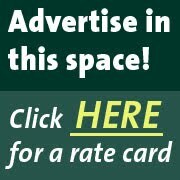 Residents can also order groceries for delivery on-line at www.foodtown.com. If you use either service, please let us know about your experience so we can share it with our readers and your neighbors. We'll have a News Roundup and a little more news on the blog as the day progresses. Yesterday night, police found a 20 month-old baby who was abducted by her troubled 13 year-old aunt earlier in the afternoon. The baby is uninjured and now safe at home with her family. The Daily News recently interviewed Vada Vasquez, who was shot in the head by a stray bullet in Morrisana on November 16, in her Soundview home.Vasquez has almost made a full recovery from the shooting. Police are investigating the events of Monday evening's two shootings in the Bronx. Four people were shot in Mount Eden and one person was shot in Claremont Village. Jose Velazquez, the founder of a construction company in the Bronx said of the Kingsbridge Armory, "Killing the project will deny my small business the opportunity to create jobs in the Bronx" in an opinion piece published in the Daily News. Today, the Daily News covered the 204th Street fire and compared it to a slew of other commercial fires in the Bronx this past year. In other fire news, an arsonist is still on the loose at the Marble Hill Houses, where there have been nine reported fires from May to September of this year. If you are looking for a unique holiday gift, look no further than the Church of the Holy Family in the Bronx, where Father O'Connor sells high-fashion, organic clothes, which were featured in Vogue. Profits from the clothes go to helping his church and Indians in Guatemala who make the fabric. Gilbert Teitel is the long-time owner of Teitel Brothers, a wholesale and retail shop on Arthur Avenue specializing in imported Italian goods. Click play to hear him talk about the store's history, its customers, and the Bronx's Little Italy. For more about Teitel Brothers, here's a profile that appeared in December's Tremont Tribune. Audio slideshow and photos by Erica Soto. On Dec. 22, 1994 - 15 years ago today - Anthony Baez, a 29-year-old Florida resident, was choked to death by a police officer on Cameron Place in University Heights, near where his parents lived. Baez had been playing football with his brothers in the early hours of the morning, when their ball hit a police car. Police Officer Francis X Livoti jumped out and told them to go home. They refused, and as Livoti tried to arrest them, he grabbed Baez around the neck, asphyxiating him. Livoti was acquitted of criminally negligent homicide in 1996, but found guilty in 1997 of violating Baez's civil rights. He served six-and-a-half years in jail. The 46th Precinct - where Baez was killed - is no stranger to police brutality. In 1987, there was Eleanor Bumpurs; in 1995, Anthony Rosario and Hilton Vega. Today, the police and the community have a better relationship. The Four-Six has a popular commanding officer, Inspector Kevin Harrington, and the precinct's monthly community council meetings are always well-attended, a sign perhaps that cops and local residents are communicating and willing to share their concerns. But problems remain: while serious crimes are down again this year, civilian complaints are up. We'll have more on this in the January issue of the Mount Hope Monitor. Photo: A mural on the building Baez's parents used to live in. In 2000, this street was dual-named Anthony Baez Place. I just spoke to Dan Katz, whose family owns the newly renovated Foodtown on E. 204th St. that was just destroyed by yesterday's fire. The Katz's announced that they will rebuild an even larger store on the same site in 2010 and also provide groceries at Pricebusters, another store they own on E. 204th St. between Hull and Decatur avenues. They also said that shoppers could order on-line at www.foodtown.com or call a hotline to have their food delivered right to their door. They can also choose to pick up their groceries at Pricebusters. The delivery cost will be $3 or free with a $50 purchase. "Everyone should know that we are committed to serving the residents and we will rebuild and even bigger and better store that what was there," said Noah Katz, Dan's brother, in a press release. "We have a long term lease on the site and we have already hired architects and engineers to begin the process of building a brand new store." Dan Katz told me that they have an agreement with the landlord to lease the two other properties claimed by the fire -- the American Diner and the dental office -- in order to expand their business. (We spoke to the owner of Amiercan Diner earlier. Still in shock, he said he had no idea at this time what his plans are.) Katz said they were going to try to assist the dental office in relocating. Those with questions about ordering groceries on the Internet should call 914-667-3346 or 718-652-4753. In the meantime, shoppers can immediately order food on-line at www.foodtown.com, and have them delivered or picked up at Pricebusters. The Katz family, which owns 11 other Foodtown stores has operated the store on East 204th Street, first called MetFood, since Dan's grandfather, Paul, opened it in 1956. Their father, Sydney, joined Paul in 1962. Noah and Dan joned the company in the 1980s. The workers have been transferred to the other Foodtown stores. "Without our staf, we would not be here in the first place," Noah Katz said. 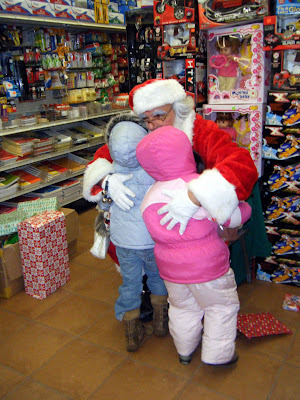 Santa gave out toys and hugs at Leroy Pharmacy this past weekend (Photo by David Greene). Santa made multiple stops in the Bronx this weekend and spread Christmas cheer to hundreds, if not thousands, of Bronx children. Thanks to Assemblywoman Naomi Rivera, Montefiore Medical Center and Leroy Pharmacy, Santa was able to visit the pharmacy on East 204th Street on Saturday, Dec. 19, and hand out gifts to children. While Santa entertained the children, Assemblywoman Rivera encouraged the parents to shop at local stores on 204th Street and take advantage of the discount toy prices at Leroy Pharmacy. “In light of the difficult economic times we are facing as a nation, I think this year’s third annual event is more important than ever. I hope that it will bring joy to many community members and help bolster our small businesses,” said Rivera. Labels: Christmas, ruben diaz jr.
With Related Companies’ Kingsbridge Armory redevelopment proposal dead in the water, Bronx Borough President Ruben Diaz, Jr. is rethinking what he'd like to see there. One idea: creating a "green" manufacturing hub. Four men were shot and injured last night during a drive-by shooting in Mount Eden. A stretch of stinking marshland in Mott Haven has been drained. Here's The Times story about yesterday's fire on 204th Street. And here's all our coverage. Norwood gets a mention in today's Wall Street Journal, not because of the fire, but because of soaring unemployment in the north Bronx. A school bus collided with a police car in East Tremont this morning. Nine people, including six children, suffered minor injuries. A Bronx food pantry with more visitors than food has been given $2,000 in cash by an anonymous woman who read about the pantry - run out of Transfiguration Lutheran Church on East 156th Street - in the Daily News. The Center for Urban Community Services has opened a "Single Stop" office on Southern Boulevard, to help Bronx residents determine whether they qualify for different types of public assistance. A woman who worked at the New Fulton Fish Market in Hunts Points says she was sexually harassed and forced out of her job. A Bronx high school student has started a FaceBook page (current membership: 76,339 and counting) to protest budget cuts that would eliminate free MetroCards for students. The Village Voice has nice things to say about El Nuevo Bohio a restaurant on East Tremont Avenue that's serious about pork. The principal of Bronx Academy of Letters, a high school in Mott Haven, is to become Los Angeles' deputy mayor for education. By now most of you have read the News and seen the destruction caused by the early morning fire on 204 street in the Norwood section of the Bronx. Last night, a Bronx resident, Jesus Vega, was shot dead outside of his home in Parkchester. Police do not yet know the motive or the perpetrator of the crime. For more information about the devastating fire on 204th Street, visit NY1. Also, check back on the blog for more news updates regarding the fire. Bronx families struggle to save up money for Christmas presents. After a public housing complex on Magenta Street flooded last Thursday night, emergency crews worked through Friday morning to bring back water and heat to the building. If the Department of Education follows through with its plan to close Alfred E. Smith high school, adults will not be able to take classes in plumbing and carpentry at the school, as they do now. The principal of Academy of Letters in the South Bronx will leave her school to accept a position as the mayor of Los Angeles' deputy mayor of education. In order to help a Brooklyn mother with leukemia, BronxWorks is holding a bone marrow testing drive at 1130 Grand Concourse today in hopes of finding a bone marrow match, which could save the patient's life. Residents of Norwood awoke this morning to sounds, smells and sights of another devastating fire to the local business district and greater community. The FDNY received calls for the fire around 4:30am and by 6:30am over 160 firefighters had responded to subdue the blaze. The fire raged through the building that houses Foodtown and the American Diner, in the heart of the commercial strip on 204th Street. These photos were taken from the hallway of an apartment building on Rochambeau Avenue, images eerily similar to the fire on Halloween that destroyed a building and 12 businesses on Bainbridge Avenue. This fire now leaves two gaping wholes in what was an otherwise vibrant neighborhood commercial corridor. A letter released by US District Court Judge Stephen Robinson showed e-mail proof that Bernard Kerik, former NYPD Police Commissioner, made false statements when disclosing information to Bronx prosecutors about free renovations to his home. Comments over the next few weeks will decide if the MTA cuts subsidies from their budget that now give students half-off or free Metro Cards to get to and from school. This would make commuting fares $700 for the year starting September 2011. Significant protests were heard today from panel members and school leaders on a plan to expand school P.S. 60 in the Bronx. Community members said they lacked sufficient information on the proposal and wanted the decision suspended. A leak in one 25,000 gallon water tank atop a Bronx apartment building pummeled water down to residents' apartments on the top floors and heat was temporarily lost in their building early this morning. A piece from the "Daily Politics" column of the Daily News voices "insider" comments and afterthoughts on the fate of the Kingsbridge Armory decision this week and the role of Retail, Wholesale and Department Store Union President Stuart Applebaum. We're short-staffed today, so we won't do the usual extensive rundown of what's in the Norwood News this week. But you can see it all here, including coverage of the Council's Armory vote, our editorial, and reaction on Kingsbridge Road. News and Events roundups to come shortly. The City's Independent Budget Office has a new report out on the impact drilling for natural gas in the Catskill/Delaware watershed would have on water rates, mainly because of the need for another filtration plant. The plant currently under construction in Van Cortlandt Park is only for filtering water from the Croton watershed -- the source for only about 10% of the City's water. The State is considering allowing private companies to begin drilling for natural gas in upstate New York, while the City is shelling out more than $630 million between now and 2017 on "filtration avoidance" by protecting the Cat/Del watershed, where 90% of our water comes from. If the companies are allowed to drill, they will utilize a procedure known as hydraulic fracturing that would likely lead to contamination in the watershed and the need for another, even larger filtration plant. Last night, Governor Paterson came alive on the stage of a Lehman College auditorium during a "Community Conversation," promising a better future for the Bronx while rattling off statistics of how he has improved the borough and the state since he has been in office. “No one would know the despair of unemployment like the people in the Bronx would,” said Paterson, who said that the Bronx unemployment statistics indicate a state of emergency. However, at the same time, the governor openly admitted that New York is going to have a negative cash balance for the first time in the state’s history. “What we will have to do is tighten our belts,” said Paterson. Before Paterson took the stage with his double-sided message, Councilman Oliver Koppell (who represents the district that includes Lehman College), Bronx BP Ruben Diaz, Jr., Assemblyman Carl E. Heastie and Assemblyman Jeffrey Dinowitz each took a moment to express their support for the governor. Not surprisingly, Diaz came to the stage booming, "Is the Bronx in the house tonight?!" and got the crowd of Bronx residents cheering on their feet. After Diaz left the stage, the crowd quickly turned more serious. When Paterson arrived, the crowd was clearly happy to see and communicate with such a powerful elected official, but they also wanted answers about how the Bronx is going to survive and earn money in this recession. The audience was most concerned with the proposed MTA cutbacks. In the most recent proposed cutbacks, the MTA would no longer offer MetroCards to public school students. This has caused a universal outrage throughout the Bronx, where many parents are unable to afford a daily MetroCard for their kids. Single parents, teachers and students all asked the governor about how he plans on dealing with this financial and educational crisis. Bronx residents also hounded Paterson for more money for school programs, small businesses and better insurance policies. While the governor could not make any definite promises or plans for the future since the state is currently posting a deficit, he did remind the crowd that during his years in office he has fought for and improved minority business ratings and school programs. Still, he will have to cut back a number of programs to get the state out of debt. "I am not going to let New York State run out of money on my watch," said Paterson. The City Council's vote on the Kingsbridge Armory redevelopment still has news sources buzzing with excitement. Below are the links to a few more stories about the armory. The Daily News accuses Mayor Bloomberg and Council Speaker Christine Quinn of not having enough influence to push the armory development through City Council. The Daily News also interviewed Kingsbridge residents about their opinions on the development. The New York Times thinks the City Council's vote on the Kingsbridge Armory is not only about economics, but also about the Council asserting their independence. The Post has a summary of the armory development's journey in City Hall. In an editorial, The Post also claims that New York has a "New Tool for Killing Jobs." Crain's New York Business claims Deputy Mayor Lieber is being criticized for the "armory fiasco." "The bar for development in New York City just got higher," says The New York Observer. The Neighborhood Retail Alliance said in a statement that "the battle for the Kingsbridge Armory goes down as one of the most memorable in the city's history." A survey recently released by the Department of Health lists the Bronx, along with the Upper East Side of Manhattan, as having the highest levels of air pollution in New York City. If the MTA cuts the Bx14 bus line, which it plans to do, residents of the Country Club section of the Bronx will have to walk about a mile to access public transportation. St. Barnabas Hospital will use federal stimulus money to build a new parking garage. The garage will create new construction jobs, but it will eliminate parking attendant jobs. Yesterday, Governor Paterson signed a bill at the Morris Park Community Association to protect homeowners from the foreclosure crisis. The community association is in an area that is severely affected by foreclosures. It's official-- the Landmarks Preservation Commission designated a row of nine houses on Perry Avenue in Bedford Park as New York City's 100th historic district. Click here to view a Norwood News story about the houses. Residents of the Bronx, especially around Kingsbridge Heights and Mosholu Parkway, have an overwhelming pest infestation. NY1 recently went on a tour of the now dry "Bronx Swamp" in Mott Haven. Yesterday, students of Alfred E. Smith High School, a vocational school in Melrose, protested the Department of Education's plan to eliminate their school. Check back on the blog for a news roundup regarding the Kingsbridge Armory later this morning. The City Council's squashing of Related's Kingsbridge Armory redevelopment proposal was discussed on BronxTalk on Monday night. Host Gary Axelbank interviewed KARA leaders Desiree Pilgrim-Hunter and Teresa Andersen (who is also president of the Northwest Bronx Community and Clergy Coalition). Both welcomed the Council's decision. Governor David Paterson is making the rounds in New York City, stopping tonight at Lehman College for a "Community Conversation" hosted by Bronx BP Ruben Diaz, Jr. and Assemblyman Carl E. Heastie. The event will be held at the Lovinger Theatre at Lehman College (250 Bedford Park Boulevard) from 7 to 8:30 p.m. Governor Paterson has recently been in the news for withholding $750 million from schools and local governments due to the state deficit and for proposing to cut the MTA budget. A former Broadway actress has opened a dance studio in Throgs Neck. Urban Health Plan has received $12 million in stimulus money to expand its health clinic on Southern Boulevard. A former director of the Bronx Conservatory of Music, a non-profit which offers cheap music lessons to kids from low-income families, has been charged with pocketing grant money. Three Bronx post offices - Crotona Park, Van Nest, and Oak Point - are still in danger of closing. Originally, seven Bronx locations were on the chopping block, but the list has been trimmed. Last year, Ocelot Capital, a notorious (and now defunct) private equity group, abandoned dozens of apartment buildings in the Bronx. Recently, some of the building came under new ownership and tenants there are hopeful. But in the other buildings - now owned by Hunter Property Management - tenants say their complaints go unheard, and that the apartments are deteriorating. More here in the Mount Hope Monitor. Despite the poor economy, New York City hospital execs earned seriously big bucks last year. Here in the Bronx, Bronx Lebanon Hosptial CEO Miguel Fuentes Jr., came out on top, with a $4.8 million pay-package. It would take someone earning $10-an-hour (the so-called living wage) about 250 years to make a similar amount. City Island residents are up in arms over noisy gunfire and bombs blasts from a nearby NYPD training facility. 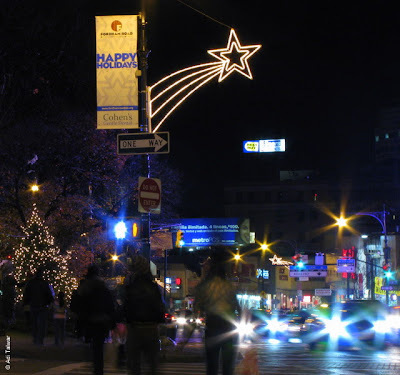 I made this picture on East Fordham Road a few days ago. They're still lining up the guests, but it's a good bet that members of the Kingsbridge Armory Redevelopment Alliance will appear on BronxTalk tonight -- channel 67 on Cablevision at 9 p.m.. It's rebroadcast throughout the week at the same time. Gary usually takes calls so if you're for what happened today or against it, let everyone know how you feel! Update: The show has booked KARA activist Desiree Pilgrim-Hunter and Teresa Andersen, who is also president of the Northwest Bronx Community and Clergy Coalition. Tune in! A piece of photograhy from the 'Childhood in the Bronx' website. Lehman College recently created an artistic website exploring, 'Childhood in the Bronx.' The online project was funded by a grant from the Metropolitan New York Library Council and exhibits photographs of Bronx children in schools, playgrounds and community centers that date back to the first decades of the twentieth century. View the work at www.lehman.edu/library/childhood-bronx. Check out the Celia Cruz Bronx High School of Music's final two Winter concert series performances on Wednesday, Dec. 16th, and Thursday, Dec. 17th. Both performances feature different choirs and orchestras and are held at 7 p.m. at the Lovinger Theatre at Lehman College, 250 Bedford Park Blvd. Tickets are a suggested $5 donation. For more information, please call (718) 329-8550. The University Neighborhood Housing Program is hosting a Homeowner Resource Fair on Tuesday, Dec. 15 at the Concourse House, 2751 Grand Concourse, from 6 to 8 p.m. Topics to be discussed include how to lower your energy costs and how to modify your mortgage. The fair will also give away free weatherization kits and free food. Supplies are limited. For more information or to RSVP, call (718) 933-2539. Community Board 5’s next general board meeting will be held at 6 p.m. on Wednesday, Dec. 16, at South Bronx Jobs Corps, 1771 Andrews Ave. All are welcome. 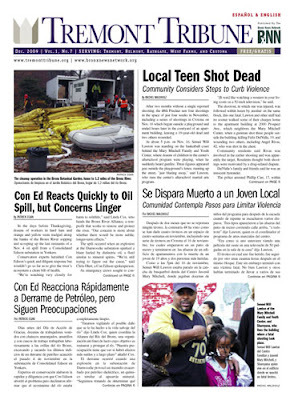 For more information, call CB5 at (718) 364-2030 or e-mail brxcb5@optonline.net. The 46th Precinct’s next Community Council meeting will be held on Tuesday, Dec. 15, at the precinct station house, at 2120 Ryer Ave., at 7 p.m. Community council meetings fall on the on the third Tuesday of every month. They give residents the chance to meet local police officers and air their concerns. For more information, call (718) 220-5234. The Office of the Bronx Borough President is holding a briefing on overcrowding in Bronx schools and the new 5-year capital plan, on Dec. 14 at 6 p.m., at the Bronx County Courthouse at 850 Grand Concourse. Leonie Haimson of “Class Size Matters” will give a presentation. A discussion will follow. All are invited to this free event. For more information, call (718) 590-3500. The final vote was 45 to 1 with one abstention (Katz). Headed outside now for what presumably will be a KARA press conference. 12:35 Quinn is talking now. Says they're disappointed they couldn't come to an agreement with the administration. Urging all colleagues to vote to disapprove the proposal today. "After numerous and lenghthy discussions, there's a significant public health and traffic impact. We cannot approve a project that brings more people to an already crowded area. .. without a true plan to deal with that traffic congestion." Other issues important and significant but not part of vote today, she said. :Current plan is simply not hte right proposoal for the residents of this community at this time." Praises Annabel Palma, Bx delegation leader, and her Bronx colleagues. Meant to mention earlier that Mayor Bloomberg has flown off to Copenhagen for the climate conference. Everyone's voting yes, to reject the project, so far. Helen Foster is speaking now. She says its history, too. Letitia James now. "Today we honor the dream that people who work hard will be able to provide for their families." Votes aye/yes and congratulates Bx for sticking together. John Liu, who will be city comptroller, speaking now. "Sets standard for accountability." Mark-Viverito who represents part of the Bronx votes aye. Helen Sears of Queens asks to explain vote, which will be "no," the first one. Probably the first time, she says, that she has not agreed with her colleagues in 8 years. Cites "slow economic recover" and cuts to city by governor. Tying this bill to living wage is complicated legal issue that requires resolution of a number of legal issues. "We are stopping the engine of job creation. Let's not mix apples and oranges." Joel asking her to wrap up. She keeps talking. She votes no. ... I'm going to try to do a little liveblogging here, grouping updates in individual posts. But the Internet is finnicky here so if you don't hear from me for a while, you'll know why. The full Council is gathering in the Council chamber at City Hall. Borough President just arrived and is begin greeted by his political colleagues from the Bronx and all around the City. I just came upstairs from Council Speaker Christine Quinn's press room where she spoke with members of the Bornx delegation and the Land Use Committee surrounding her. She was peppered with questions about the wage issue, but she kept insisting that Land Use only addressed the issues that it deals with on an issue like this, mainly parking and traffic. She said there were many other issues but she didn't cite any of them. Asked what she would tell the 1,000 or so construction workers who now won't get to work on the Armory in the immediate future, she emphasized that there are two sides in a negotiation and in this case they couldn't come to an agreement. She cited the Council's record on approving most Land Use issues that come before it. In fact, no one hear can remember any proposal like this that has been rejected by the Council. No Council member seems to even fully understand the process going forward. Quinn did explain but it was as if she had just been briefed by her staff on it. Bottom line is mayor can veto (he wouldn't get to do this if regular legislation was voted down -- he gets to veto bills that are passed) but Council can override the veto on Dec. 21. Quinn said she had the votes to override. We'll see how many in a moment. OK on to the liveblogging. 12:25 p.m. -- It's starting. Jose Rivera just walked in a gave Ruben Diaz a hug. Joel Rivera is chairing the meeting sitting in the big chair above the lower dais. 12:30 -- Joel just announced that it's his father's 73rd birthday today. Here at City Hall .. The full Land Use Committee is voting now. More updates soon. The fate of the Kingsbridge Armory redevelopment will likely be decided on Monday (the 14th). The City Council could kill the plan because of the lack of a living wage requirement, or members of the Bronx delegation could agree to a watered-down wage deal with the developer, The Related Companies, and the Bloomberg administration. As it decides, the Bronx delegation should keep in mind that redeveloping the armory would never have even gotten this far without a massive investment of time and energy by local residents over the last dozen years. I wrote my first armory article for the Norwood News as a free-lancer in 1993 (and the paper has published dozens since – here’s a link for 67 of them) when the National Guard was poised to vacate the facility and transfer ownership to the city. At that time, District 10 Superintendent John Reehill had a vision of turning the whole darned landmark, which was at the epicenter of the overcrowding crisis, into a complex of public schools. That plan went nowhere. It was the time of Giuliani and solving the crowding crisis in the Bronx wasn't exactly tops on the new mayor's to-do list. Nothing Bronx was. One of the new mayor's first acts of office after all was to kill the new police academy long planned for the borough by the Dinkins administration. Oliver Koppell, then an assemblyman, secured $150,000 from the state for a study but the Bronx Overall Economic Development Corporation returned the money when little was accomplished. In 1998, the Northwest Bronx Community and Clergy Coalition, a main force behind the Kingsbridge Armory Redevelopment Alliance (KARA), began organizing residents and translating community ideas into architectural blueprints, with the assistance of Joan Byron and the Pratt Center. The plans included 2,400 school seats, a movie theatre, a green market, restaurants and a sports complex. Nothing new to report on the Kingsbridge Armory shopping mall negotiations, other than the fact that there is a stated City Council meeting scheduled for Monday morning at 11 a.m.
Monday is the last day that the Council has to weigh in on the Armory proposal. At this point, it's any one's guess as to how this will end. On one hand, the borough president, the retailers union and a coalition of strong community voices are telling the Bronx delegation to vote the project down. On the other hand, the mayor's office and several construction unions are pushing hard for this project to go through. Will they take the deal or shut the project down and start over? And, as always, stay tuned. Bronx Borough President Ruben Diaz, Jr. is joining the Kingsbridge Armory Redevelopment Alliance (KARA) and the Retail, Wholesale and Department Store Workers Union (RWDSU) in opposition to a compromise on living wage jobs at the Kingsbridge Armory, a proposal currently being mulled by the Bronx City Council delegation. The still murky and complicated proposal would create a fund that Armory mall employees could opt into and would augment their checks. The proposal would not guarantee a living wage ($10 an hour plus benefits) for Amory employees, something Diaz has fought for since August. For more details on the compromise deal, click here. “From the first day I got involved in the issue of the redevelopment of the Kingsbridge Armory, I made it crystal clear that I would not support this project unless it included a guarantee that the employees at the future retail center would be paid a living wage. Though the wage supplement provisions that the Bloomberg administration has put forward represent a major step forward compared to our negotiations six months ago, there is no guarantee. With that said, I will continue to oppose this project, and I urge the members of the City Council to do the same,” said Borough President Diaz in a press release. Diaz said that while he opposes the project as is, he's encouraged by the work and progress made by his office, community leaders and other Bronx elected officials. He also says he's hopeful that this fight will lead to a change in how the city and state does development in the future. He wants to see legislation mandating living wage for employees at projects where developers receive city and/or state subsidies and tax breaks. Labels: bronx delegation, City Council, kingsbride armory, Mayor Bloomberg, Related companies, ruben diaz jr.